GETEX 2015 to address GCC’s surging demand for quality learning. 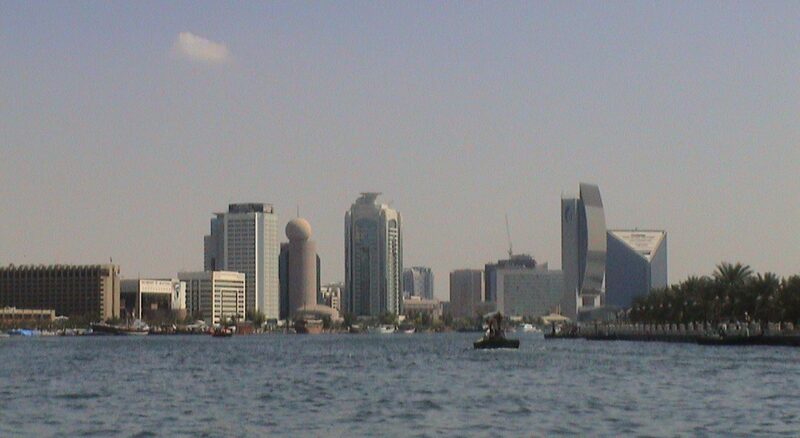 According to recent industry reports, the GCC student population is predicted to reach 11.3 million by 2020 from 9.5 million in 2010 and the urgency to provide excellent learning environments to all students – emiratis and expatriates – living in the region, is driving up public and private spending on education. Investment in education will continue to head north as students fill the seats in schools and universities. Concurrently, the establishment and supply of quality programme offerings in the region is set to grow as education authorities exercise regulation and set standards. This balance will create an equilibrium in supply and demand, ensure student retention, and promote the region as a competitive destination for quality Higher Education. Held under the patronage of the Ministry of Higher Education & Scientific Research, the Gulf Education and Training Exhibition (GETEX) returns to Dubai from April 15 to 17, 2015 at the Dubai International Convention and Exhibition Center. The GETEX mission is to provide a proven marketing service to Higher Education providers from around the world. It serves as an outreach platform to the student community living in the region and helps exhibitors to maintain a satisfactory student intake which is very crucial for their existence. The 27th editionof GETEX will bring academic and occupational education providers in close proximity with learners eager to explore study options that would eventuate in fulfilling careers. GETEX Dubai will also feature the GETEX Counsellors Forum where student and career counsellors will have the opportunity to network and discuss issues pertinent to the crucial role they play in student’s lives. On the other hand, faculty and education managements can benefit from the opportunity that comes with the International Universities Networking Conference (IUNC) Middle East & Africa that is linked with GETEX in 2015. For more information, please log on to: http://www.mygetex.com. Innovation Arabia 8 features 188 research papers, and 38 presentations from 40 countries. [UAE, February 17, 2015] – The Innovation Arabia 8 (IA8) Conference being organized by Hamdan Bin Mohammed Smart University (HBMSU) under the theme ‘Innovate, Collaborate and Differentiate: Honoring the Past, Treasuring the Present, and Shaping the Future’ has lined up top-notch keynote speakers – including regional and international experts, academics and scholars – to discuss effective solutions for maximizing economic opportunities and promising human resources to drive sustainable socio-economic growth across the Arab World. IA8 explores promising research potentials by providing a platform for Masters and Doctoral Degree holders from 37 countries to present a total of 188 research papers and 38 presentations on key issues related to the four topics of the conference before a high-profile international audience. The event will feature 75 research papers and 5 presentations on ‘Smart Learning Excellence’ by participants from 22 countries; 57 research papers and 13 presentations on ‘Quality and Business Management’ from 21 countries; 26 research papers and 18 presentations on ‘Health and the Environment’ from 16 countries; and 30 research papers and 2 presentations from 13 countries on ‘Islamic Banking and Finance’. An elite group of international keynote speakers once again took part in today’s IA8 discussions, headed by Dr. Rudolf Strohmeier, Deputy Director-General of the European Commission’s Directorate-General for Research and Innovation, who discussed ‘Drivers for Sustainable Innovation Ecosystems.’ Dr. Strohmeier is one of the world’s well-known experts on international research and studies aimed at enriching knowledge and spreading the culture of innovation. H.E. Hussain Al-Qemzi, Group Chief Executive Officer of Noor Investment Group LLC and Chief Executive Officer of Noor Bank PJSC, UAE, talked about how ‘Innovation is Key to a Sustainable and Competitive Advantage for the Future of Islamic banking.’ Two panel discussions were also featured on Day 2 of the conference. The first was on ‘The future of Islamic Banking – Is it a Sustainable Business Model for banks?’ moderated by Professor Nabil Baydoun, Vise Chancellor for Enterprise and University Advancement at HBMSU and President of the IA8 Conference. ‘Excellence and Innovation in Management Education for Emerging Economies’ was the main focus of the Global Business School Network Panel Discussion headed by Professor Khaled Sartawi, Dean of the School of Business & Quality Management at HBMSU. The third and final day of the Conference will feature an UNESCO Institute for Information Technologies in Education (IITE) Panel discussion titled ‘New Partnerships and New Business Models to Scale Up Learning in a Fast Changing Environment’ to be moderated by Professor Abtar Darshan Singh, Dean of the School of e-Education, Learning and Academic Development division at HBMSU. The second panel discussion of the day will be on ‘Dubai Medical Tourism and Improving the Quality and Efficiency of Healthcare Delivery in UAE’ headed by Professor Adi Arida, Dean of the School of Health and Environmental Studies, Academic affairs Division at HBMSU. Day 3 will also feature two keynotes: the first will discuss ‘Voyage to Excellence: Unleashing Innovation and Transformative Learning in Networked Futures’ by Dr. Alan Bruce, Vice-President of the European Distance and e-learning Network and CEO and Director of Universal Learning Systems, while the second will be delivered by Eng. Sobhi Batterjee, Founder and President and CEO of Saudi German Hospitals Group, who will talk about ‘Leveraging Information Technology in the Healthcare Industry’. Mansoor Al Awar, Chancellor of HBMSU, emphasized the importance of the topics being addressed at the IA8 Conference which serves as an ideal platform for discussing how to drive innovation and creativity with the goal of establishing integrated knowledge-based economies in the Arab World. Al Awar explained that the high number of prominent regional and international participants at the event reflects HBMSU’s stature as a key centre for excellence in spreading the culture of innovation, creativity and high quality in the Arab region. HBMSU hosts learners and alumni in interactive meeting to develop its three-year strategic plan. 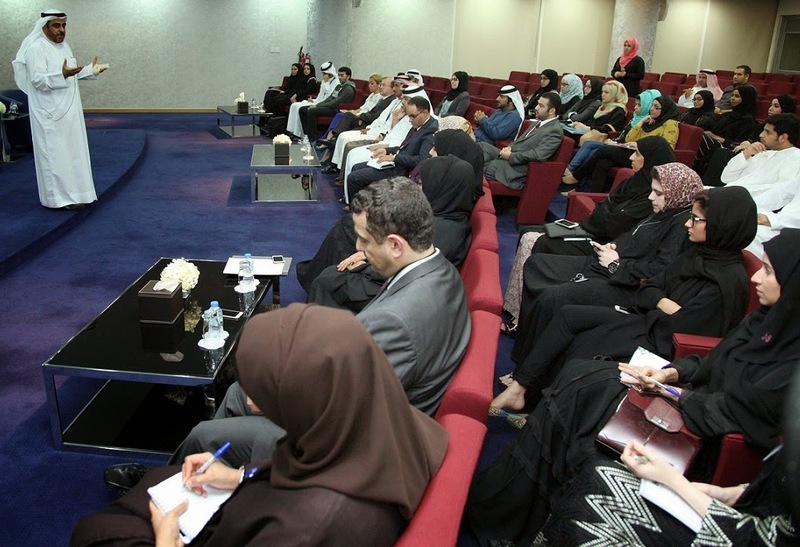 [UAE, December 20, 2014] – Setting precedence by letting its learners and graduates participate in formulating the university’s strategic plan, Hamdan Bin Mohammed Smart University (HBMSU) has concluded a participatory and interactive meeting held recently at its Dubai Academic City campus. The university will draft its plan for the next three years, taking inputs from its learners and alumni. This qualitative move comes in response to the directives of H.H. Sheikh Hamdan bin Mohammed bin Rashid Al Maktoum, Crown Prince of Dubai and President of the University, to build a culture of innovation and creativity among learners in line with the objectives of the recently launched Dubai Strategic Plan 2021, which is a road map to achieve the vision of H.H. Sheikh Mohammed bin Rashid Al Maktoum, UAE Vice President and Prime Minister and Ruler of Dubai. The meeting, which was held under the title ‘Where do you see your university – HBMSU – in the next three years?’, has been widely praised as it provided an ideal interactive platform to activate communication channels with learners and graduates, adapting capability and knowledge and unleashing competency and talent in the field of creativity and innovation. The meeting included a series of open discussions and brainstorming sessions that brought together university administrators and academics with learners and graduates under one roof to exchange ideas and opinions, review aspirations and proposals, and come out with recommendations for a three-year strategic plan that will reflect the HBMSU’s vision of establishing a culture of creativity and innovation. Dr. Mansoor Al Awar, HBMSU Chancellor, has praised the positive feedback given by the participants at the meeting. He lauded their vital role in providing proposals and forward-looking visions for elaborating strategic goals and directions to the university over the next three years. The Irish Academy of Public Relations and Orient Planet. The Irish Academy of Public Relations today (Monday 27th October, 2014) revealed in London its joint venture with Orient Planet PR and Marketing Communications to create the first ever online PR and Communications Academy in the Middle East. Orient Planet Academy (www.opacademy.com) will exclusively provide the Irish Academy’s courses to students in the Middle East, Levant and North Africa regions. The signing of the agreement between Ellen Gunning, the Irish Academy’s Director, and Nidal Abou Zaki, Orient Planet’s Managing Director, took place recently in London. Orient Planet Academy will facilitate internationally recognized certificate courses in public relations, marketing, journalism, event management and English grammar. Offering a wide degree of flexibility to its prospective students, Orient Planet Academy’s courses – all of which have been localized for the Arab World – can be completed in a time span of 10 to 20 weeks. A student is required to finish 10 to 12 modules and pass all requirements before a certificate is awarded. Comprehensive textbooks of the Irish Academy will also be available at the new Academy’s bookstore to help potential learners in their studies. The textbooks are specifically chosen to complement the course syllabus and to serve as additional references for students. Visitors of the Orient Planet Academy website may also browse through videos to watch renowned communications experts in action. In 2013, the value of the Middle East e-learning market was placed at USD 44 million as a result of concerted efforts to digitize education in the region. The sector also witnessed an average growth rate of 8.2 per cent per year, with revenues projected to reach USD 561 million by 2016. The expansion can be attributed to several fundamental factors, one of which is the region’s move to transform itself into a knowledge-based economy. One of the major drivers of the growing online education market in the Arab World is the increasing number of internet users in the region. According to Arab Knowledge Economy 2014, a first-of-its-kind report jointly produced by Madar Research and Development and Orient Planet, the Arab World recorded the largest growth in internet users compared with other regions in the world since 2001. Th­e report shows an exponential increase in the number of people accessing the internet from the region. By 2017, the figure is expected to increase to about 197 million, while internet penetration is projected to jump from 32 per cent in 2012 to over 51 per cent in 2017. The Irish Academy of Public Relations is an international online education provider of courses in communications disciplines, while Orient Planet is one of the Middle East’s most rapidly growing PR marketing and communications consultancies. All five courses of Orient Planet Academy have been designed by the Irish Academy and will be tutored by communications professionals in the Middle East.